As with all of our Coffee Chat winners, Jason gets to pick the topic, as well as to lead the discussion, and has chosen Star Wars anthology films have affected our fandom, as well as looks back at the Legends line’s impact on where we are now in Star Wars and storytelling. 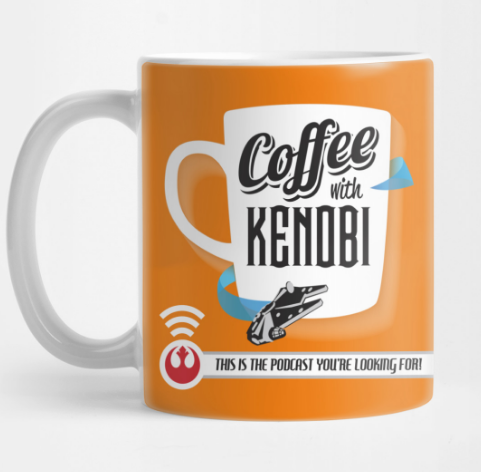 Jason also asks Dan and Cory about their Lucasfilm dream job, and interviews the Coffee With Kenobi hosts about how they got into podcasting. If you’d like to find out more about how you could join us in the studio for a show of your own, check out our Patreon page for more details. Previous article Star Wars Rebels: Rebels Recon for "Legacy of Mandalore"